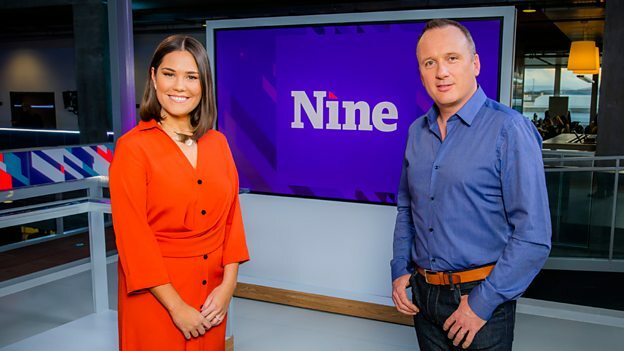 Home / Archive / featured / BBC Scotland unveils flagship news show "The Nine "
BBC Scotland unveils flagship news show "The Nine "
The BBC has unveiled a sneak preview of "The Nine", BBC Scotland's new flagship news show, launching in February 2019. The Nine will bring national and international news to audiences across Scotland, based at a permanent open-plan studio space (pictured) on the third floor at BBC Scotland’s Pacific Quay, Glasgow headquarters. The hour-long programme will be anchored by Rebecca Curran, Martin Geissler, Laura Miller and John Beattie. Rebecca and Martin will co-present Monday-Thursday while Laura and John will present the news hour each Friday on the new BBC Scotland television channel. The BBC Scotland TV channel launch date, revealed by a516digital last month, has been confirmed as Sunday 24th February 2019. The channel will be available across Scotland on all digital TV platforms. In England, Wales and Northern Ireland, the channel will be available via the iPlayer and digital satellite.